I have a little announcement! As of last month, I became one of the web reviewers for RT Book Reviews. I'll be reviewing 1-3 YA books a month on their website instead of here on the blog. However, because I loved, loved, loved The Bitter Kingdom, I can't not talk about it here! Click here to see my review of The Bitter Kingdom over on RT! 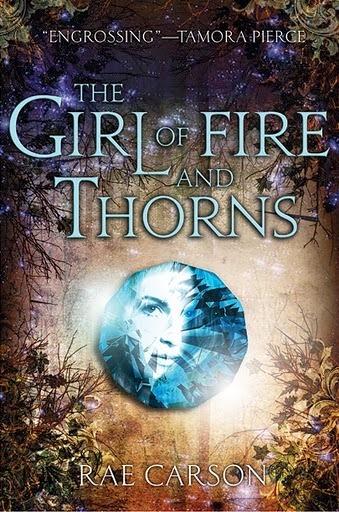 When I first heard about the first book, The Girl of Fire and Thorns, I was so excited. It sounded exactly like the sort of fantasy I would love, and I adore the Spanish cultural influences in the book. 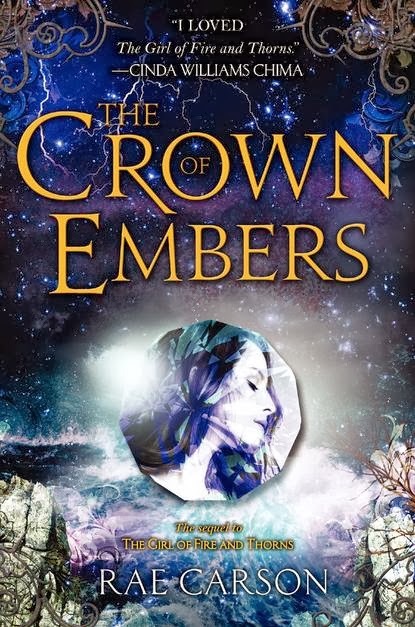 I read the first two books a really loved them (click here for my review of The Girl of Fire and Thorns, and click here for my review of The Crown of Embers), so I was very excited for the third book (and sadly, the conclusion). A curious thing has happened to me since I started reading for school. I am now the proud owner of VCFA READING EYES. The VCFA Reading Eyes are both a blessing and a curse (a blurse, if you will). They enable me to read something and see all of the nuts and bolts of why I adore it and what makes it work and all of the THINGS that are happening in a book. They also make me read a book and see all of these things, sometimes when I don't want to. Sometimes, I just was to read a book and like it for stupid reasons, like because the protagonist has red hair or the love interest said something really funny on page seventeen, and I don't want to care about plot and desire lines. The Bitter Kingdom is a book that stood up to a reading by the VCFA Reading Eyes, and not only that, EXCELLED. Because Rae Carson doesn't take her story too seriously. I mean, think about it. Chosen one. Magical belly jewel. Kingdoms. Swords. MAGICAL BELLY JEWEL. I truly don't think you can pull that iff if you take yourself too seriously. But Rae Carson doesn't. She creates a kickass story by playing with fantasy tropes and turning them on their head. 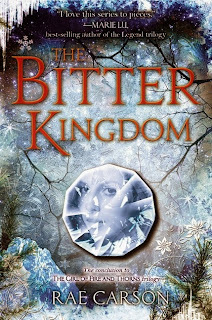 I loved The Bitter Kingdom because in it, Elisa must save the man she loves, and she has to find her own magic and destiny. She has to learn how to ask for help, negotiate peace, and compromise. Mostly, she is a kickass heroine the entire book. And there is kissing. It's really pretty much the perfect finale. I'm very excited for Rae Carson's next books, which are a trilogy set in Gold Rush California, with MAGIC! And if I've learned anything about Rae Carson at this point, kissing will be involved. Yay. VCFA Reading Eyes! Ha! That cracked me up. I totally know what you mean. Congrats on becoming an RT reviewer. I loved this book too-I had mixed feelings on the first two but this final one cemented my feelings for the trilogy as a whole in unending love.